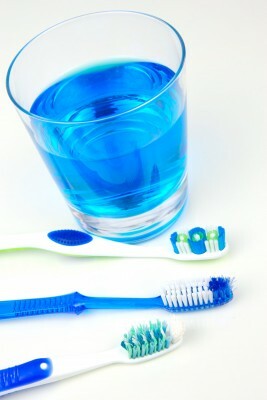 The use of mouthwash is undoubtedly an integral part of your oral hygiene routine. But with the wide variety of oral health products available in the market today, choosing a mouthwash can be really challenging. There are some mouthwashes that are labeled as antiseptic and anti-plaque. These can play an active role in killing the germs that lead to plaque, gingivitis as well as bad breath. A mouth rinse having fluoride is even better, especially in terms of tooth decay prevention. But, you should always consult your dentist and look carefully at the manufacturer’s label to prevent any side-effects. If a mouth rinse contains alcohol, you may experience a burning sensation in your teeth, cheeks as well as gums. Remember that excessive use of fluoride mouthwashes may result in fluoride toxicity. Is my mouth wash good for bad breath? Mouthwashes that have fluoride in them are quite successful in fighting up to 50% more of the cavity-causing bacteria as compared to ordinary mouth rinses. And a quality mouthwash does curb bad breath while refreshing your mouth. At times, you may have to use prescription-only mouthwashes that have additional ingredients for protection against dry mouth, gingivitis or other dental issues.